To get a FREE Minibon Roll at Cinnabon, join Club Cinnabon. 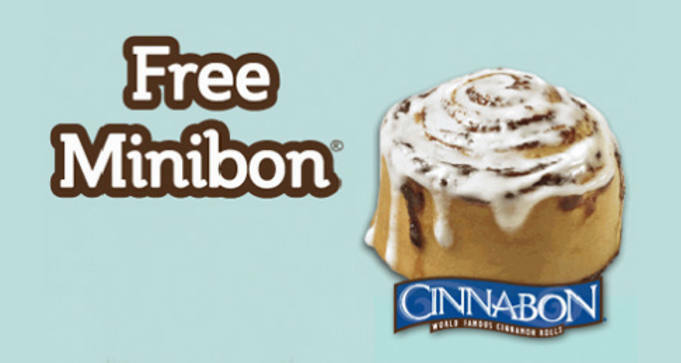 You’ll receive a coupon good for one FREE MINIBON roll at participating bakeries. You’ll also receive exclusive news and offers directly to your inbox. Enter your birthday, and they’ll even send you a special present to help celebrate. Find a Cinnabon bakery near you.